Cancer hates the catechins in green tea which also imparts numerous other health benefits. Many people have started drinking green tea even preferring it over coffee and other beverages. However, not everyone likes the taste of this tea; many find it too bitter, bland and boring. Some green tea drinkers do not add honey or sugar to it and it is best consumed without milk too. This makes green tea a boring and bland drink. However, there are many ways to enjoy this tea without compromising on its health and taste. Today we will take a look at what you can do to make green tea taste good while still keeping it healthy. Never steep green tea longer as it becomes bitter. Also keeping it longer than that is needed ferments the tea. So steep the tea bag or leaves for no more than 3-4 minutes. Remove the tea bag or strain the leaves as soon as this stipulated time is over. Enjoy the tea hot. Can you add honey to green tea? Yes, why not! In fact some of the best additions to green tea are honey, mint, grated ginger root, and lemon or lime juice. Never add sugar to it though. Honey works very well and so does lemon. Also never add milk to this tea. You can use flavored honey as well- just avoid strong flavors. What to add to tea for flavor? Vanilla in green tea is your answer. Add a few drops of vanilla extracts or steep some vanilla bean to infuse its sweetness in the tea. Be careful not to overpower the delicate taste of tea. 3. What to put in green tea to lose weight? This is a question many dieters and weight watchers have. The best thing to add to a mug of hot green tea is a dash of lemon juice, a bit of black pepper, ginger and some rock salt or Himalayan pink salt. These additions make the tea taste great without compromising on its health benefits. Lemon juice contains ascorbic acid which preserves the polyphenols in tea and also enhances the body’s ability to absorb them. Water makes up for 99.6% of your green tea. So use fresh cold water from the tap. Never use distilled water as it can make your tea taste flat. Think like you do when you bake! Start with one rounded teaspoon of leaves per 8 ounces of water. As sated above, do not overstep as tea’s polyphenols infuse rapidly. 6. Should you reuse the leaves/tea bags? 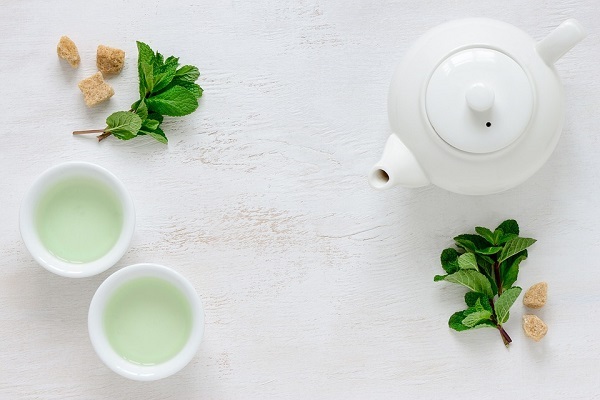 This is a matter of debate when it comes to drinking green tea for health and weight loss. Some experts believe that you should not reuse tea leaves and tea bags as their benefits are usually exhausted in one use. Still others believe that it is perfectly okay to re-use the tea as long as you continue getting some color, flavor and taste out of it. Many Japanese tea experts reuse the tea bags over and over, adding mugs of hot water on the used tea bags. Tea remains fresh and potent for 24 hours so drink it fresh, which means today! This is how long the tea will remain fresh and brimming with serious health benefits. Did you know that you can brew green tea in cold water as well? Yes, green or black tea can be steeped in cold water; you only need to steep it longer. 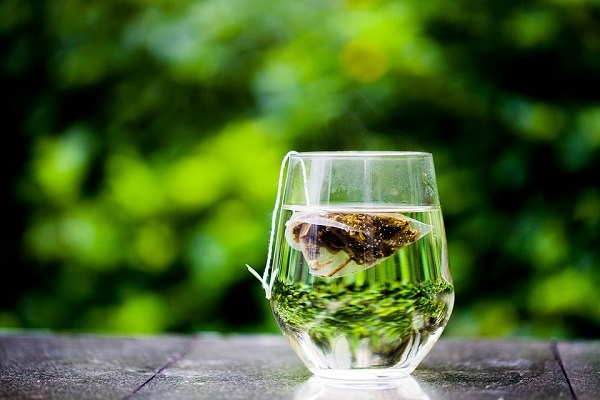 While hot water infuses the tea much faster, it also transforms some of its active ingredients in the extracts. Cold water, on the other hand, takes longer but ensures keeping its catechins, polyphenols and flavonoids intact. A cold brewed green tea is also smoother and cleaner in taste and also has better antioxidants value than hot brewed tea. 9. Tea bags or loose leaves? Many people wonder whether loose tea leaves are more effective (healthier) than the tea bags. The answer varies depending on the brand. The fact is that one cannot be sure if the tea bags contain the right variety of green tea as many sneaky manufacturers slip different inferior tea varieties into them and sell them at a higher cost. Also, tea bags are also not stored in airtight containers which can impact their taste and flavor. So yes, tea bags often yield inferior tasting tea. 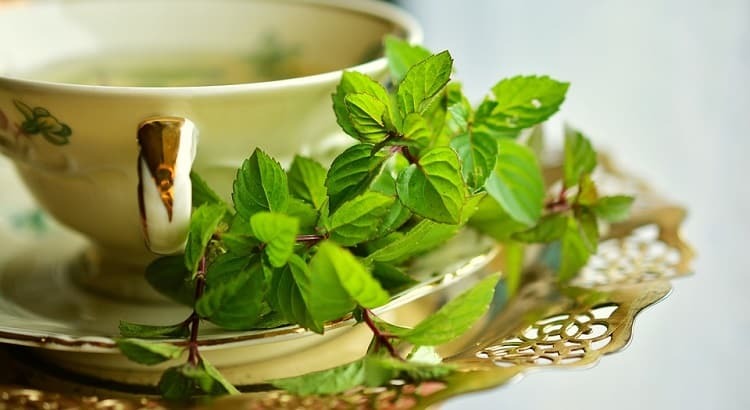 In a mug, place the tea bag and mint leaves. Pour boiling water over them. Cover with a saucer and let infuse for 3-4 minutes. Remove the bag and leaves. Sweeten with honey and drink hot. In a jar, measure 450 ml of cold water. Submerge the tea bags and let infuse for few hours. Remove the bags and add the lemon slices, cucumber slices and mint. Sweeten with honey or sugar syrup if needed.